9. Picasso claimed "Paul Cézanne was my one and only master." When a Nazi officer saw Guernica he asked Picasso "Was you who did it?" and Picasso is said to have responded, "No, you did!". 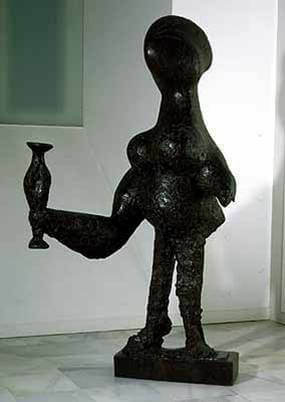 In all his life Picasso produced about 147,800 pieces, consisting of: 13,500 paintings, 100,000 prints and engravings, 300 sculptures and ceramics and 34,000 illustrations - an impressive 78-year career. 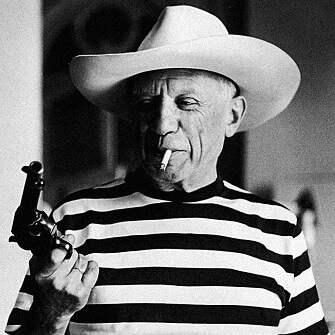 Picasso's iconic shirt is a Breton-striped shirt, which in 1858 became the official uniform for French seamen in Brittany. Picass was also a leader in fashion, and his Breton striped t-shirt was designed by Coco Chanel. The 21 horizontal stripes represent each of Napoleon's victories. Picasso was the first artist to receive a special honour exhibition at the Grand Gallery of the Louvre Museum in Paris in celebration of his 90 years. After ending his first marriage in 1935, Picasso dabbled in poetry and later wrote two surrealist plays. Between 1935 and 1959 Picasso wrote over 300 poems that were mostly untitled except for an occasional date and location of where it was written. 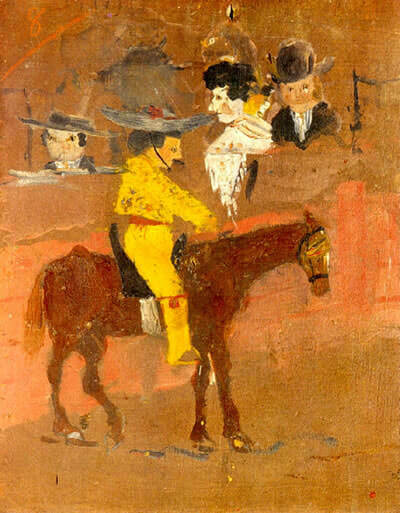 It was rumoured that Picasso predicted he'd be known more for his poetry than his paintings. 15. Where is Picasso buried? Small groups of visitors are now allowed to view his final resting place, where he has lain since his death aged 91. The raised burial mound is topped with his 1933 sculpture, Femme au vase.